And I am glad to be back so I can SEE things and not get reports over the telephone! That is a V-E-R-Y interesting bar indeed. 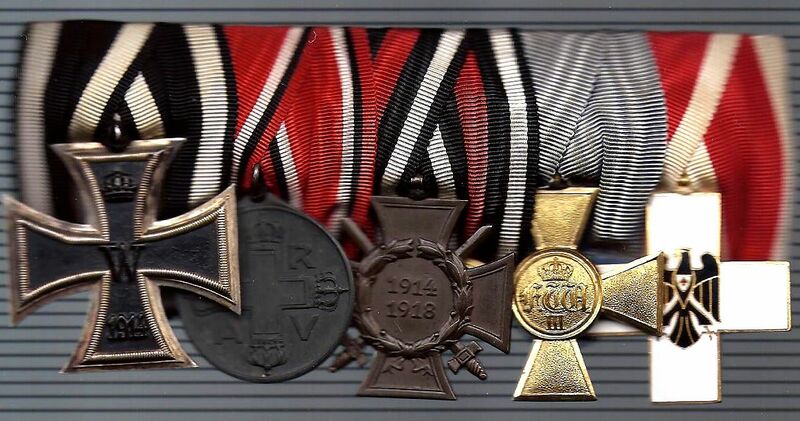 I wonder.... with a "combatant" Iron Cross... if the father of a dead son thought he could only wear ONE Hindenburg Cross and so chose that Next-Of-Kin, leaving his own (? 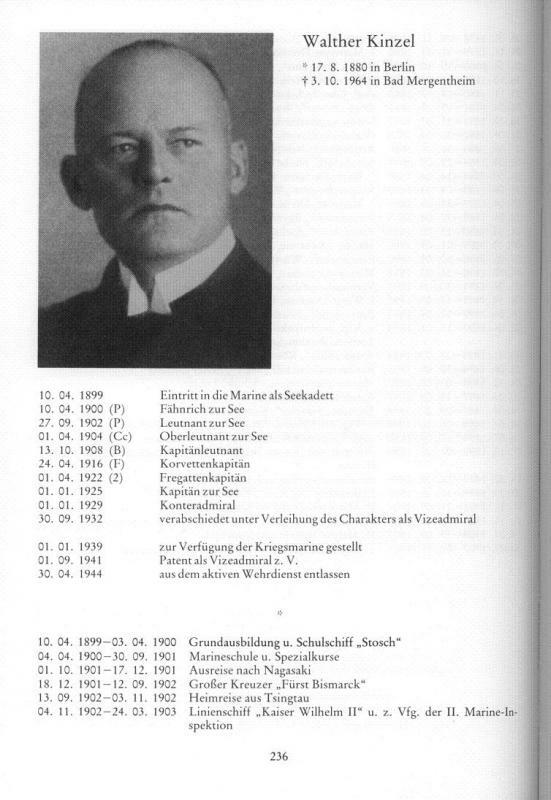 )Kriegsteilnehmer off? 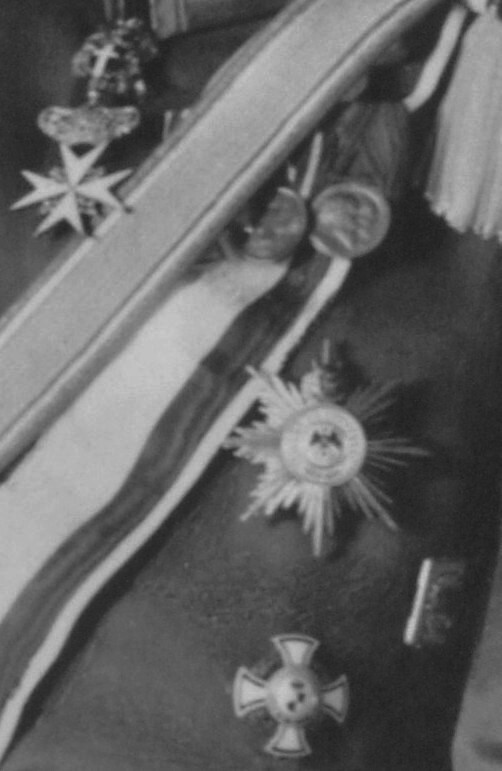 I've seen medal bars with two Hindenburgs in cases like that. Otherwise I can't explain the "black white" ribbon, the way a "white black" would have made sense if the father was not in military uniform. A beautiful bar with a sad story! Very nice bars, Tilo! I like those Pr RAO with crown! The first one it's like it came out from the time machine... Immaculate! THE exact medal bar... in wear!!!! Excellent news!!! Bringing the Empire back to life one bar at a time. Congratulations!!!! Now that's something you don't see every day. Ricky's head is going to hurt on that one. Mmmmmmmmmm. Very very very nice! Post 1918 from the 3rd cross... presumably a military attaché? May be. But also some other connections because of Willis sister Sophie are possible. I am quite sure, that therefore a few Greeks with a Crown Order 3rd class can be found in the Ordenslisten. Because of this I did not look there until now. Perhaps a Kammerherr? Though how to find the right one... in Greek sources?! What is the second Order? I cannot find it anywhere in my references. Perhaps that helps date this Spange, too--though I would think the tiny Godet "auto license plate" tag went out in the 1920s. 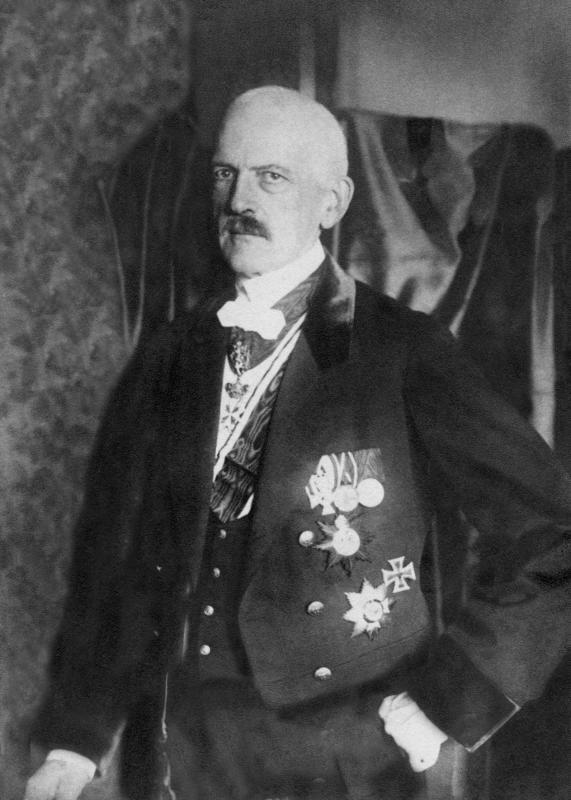 The Venizelos Republican (!) 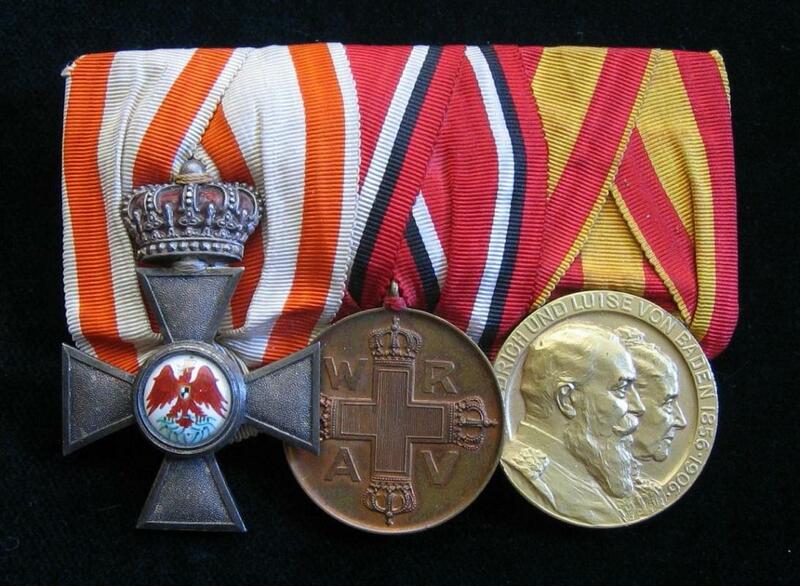 War Cross in 3rd place was supposed to be for Captains with no ribbon device, so he was a VERY lucky Captain if he got a KO3 in 1913/14! Cross of Valor (Αριστείον Ανδρείας). 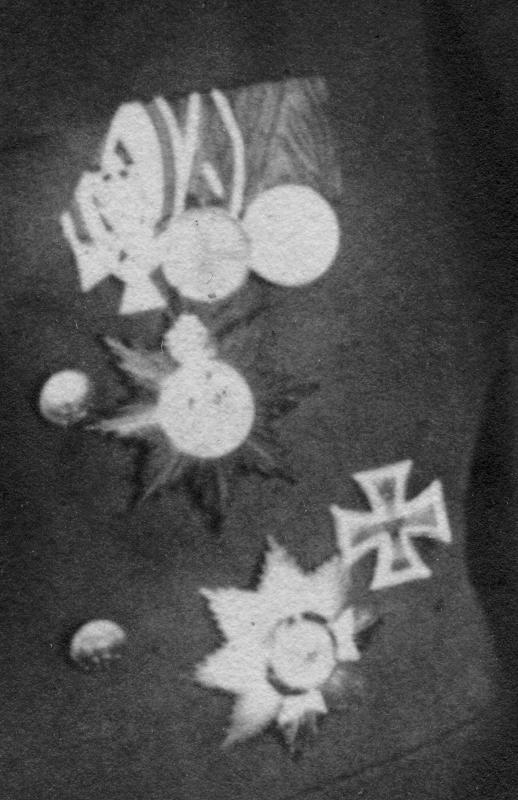 Came in three classes - Commander's Cross, Gold Cross and Silver Cross. The Silver Cross was all-silver, and the Commander's Cross was a neck badge, so this is the Gold Cross. Godet manufactured Greek Cross of Valor insignia & cases in all 3 grades -- certainly in the 1920 and 1930s. 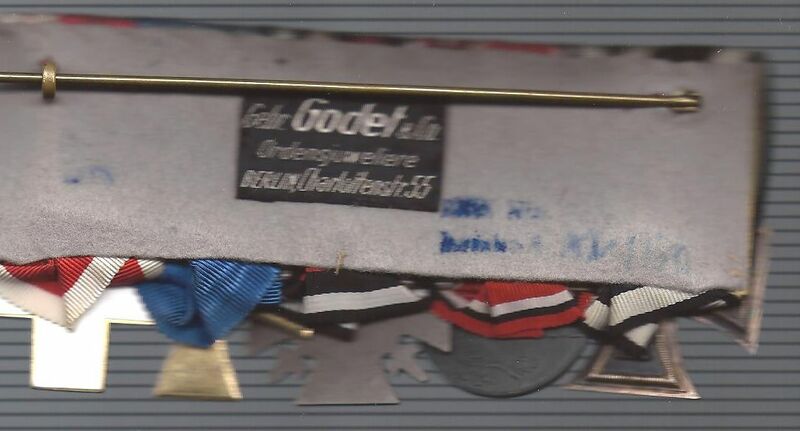 Usually, cases have their name [simply 'GODET'] stamped in gilt on the reverse right corner. That's a beauty and a VERY interesting combination of career officer XXV years long service, wartime Red Cross Medal, and 1934-37 Red Cross Decoration. That surely suggests a war-years-double-time/post March 1897 frontline regimental medical officer--so virtually certainly a char. 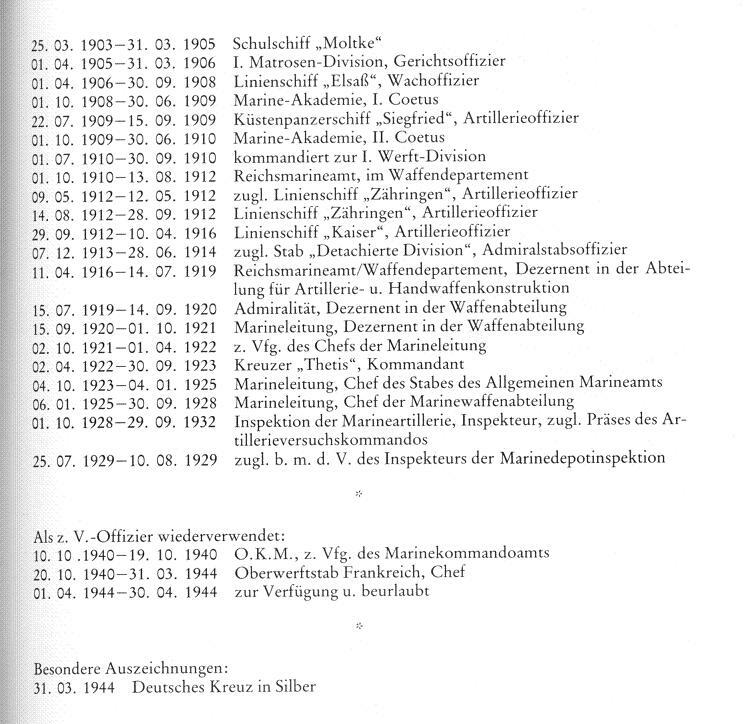 Oberstabsarzt aD. Somewhere somewhere SOMEWHERE the Red Cross awards rolls must exist, waiting to be transcribed! 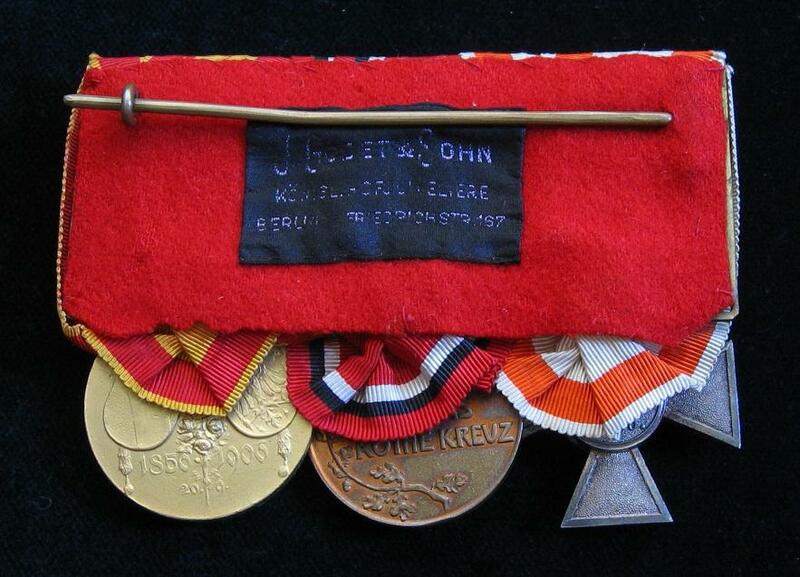 In the case of your medal bar, the suspect pool for that level of retired military doctors without other awards not Wehrmacht (E) or a civil servant in the 1930s should sort him out into an identification from LACK of other awards. If only we had those Red Cross rolls!!!!!!! Very nice bar, Sam.... I don't know but I have a feeling I have already seen this bar before somewhere, but many years ago. You probably have seen it. All my bars have been purchased from on line dealers , major auction houses, and even members of our forum (actually some of the best). I think most all of my bars have been seen before.